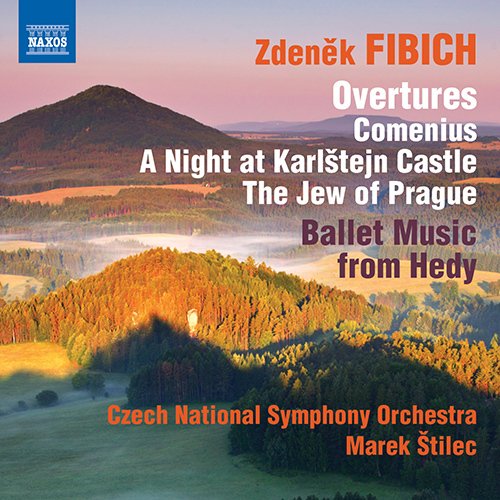 This fourth volume in the first complete recording of the orchestral works of ZdenÄ›k Fibich features shorter orchestral works and occasional pieces for theatre projects. They include the evocative overture A Night at Karlštejn Castle, the Mendelssohnian overture to the incidental music for The Jew of Prague, as well as the witty and elegant ballet music from the opera Hedy. 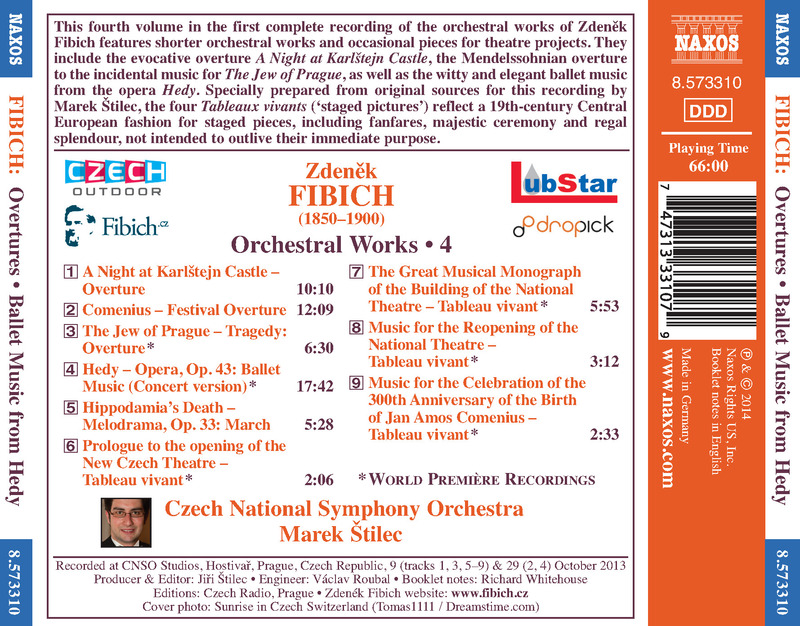 Specially prepared from original sources for this recording by Marek Štilec, the four Tableaux vivants (‘staged pictures’) reflect a 19th–century Central European fashion for staged pieces, including fanfares, majestic ceremony and regal splendour, not intended to outlive their immediate purpose.